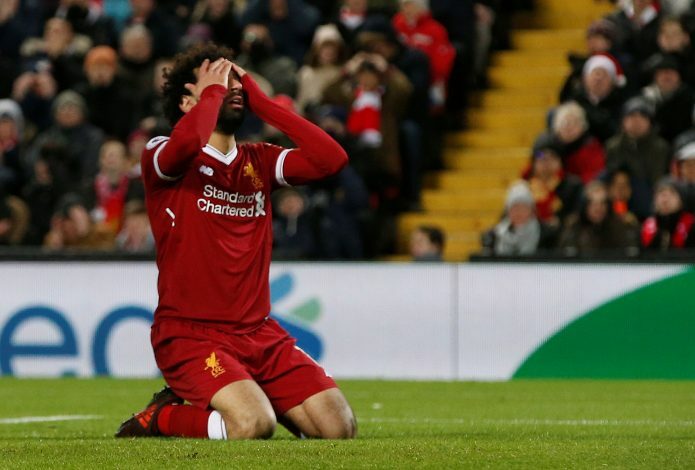 Liverpool superstar Mohamed Salah is not quite having the season he enjoyed last term, wherein the Egyptian scored 44 goals across all competitions for the Reds. Salah once again had a goalless night for the club in the tie against Paris Saint-Germain at home in the 2018-19 Champions League campaign. Liverpool won the tie 3-2, but it was another performance that Salah would not have liked, as he couldn’t put on a strong consistent show throughout. The player was also responsible for PSG’s equaliser at the death, after he gave away possession cheaply. Salah’s face said it all when he was substituted later in the 2nd half. Moreover, his reaction on the bench after watching Firmino score the winner has got the fans guessing, as Salah was seen throwing his bottle to the floor. Was it because of his own performance? Fans have since then gone active on Twitter, and are questioning his reaction. It hasn’t gone down well with many Reds’ supporters. BT are just showing footage of the Liverpool bench after Firmino's winner, showing Mo Salah slamming his water bottle down. How can you be upset at a last-minute winner against one of Europe's best sides?! Something's wrong with Mo Salah. Doesn't look happy on the pitch, doesn't look happy off the pitch. No shots on goal, 70% duels lost, could cause Liverpool a win with that inaccurate pass. That bottle throwing after Firmino scored also needs explaining. Salah & Neymar's performances make me appreciate Messi & Ronaldo that little bit more. We're desperate to say someone's reached their level, but we're still nowhere close. Extreme consistency from teenage years through their 30s has those two in a different realm. Earlier in the game, Salah did put the ball in the back of the net when Liverpool were leading 2-1, but the match official ruled it out and gave a foul in favour of PSG instead. Besides his form, another thing worrying Liverpool is his taped shoulder. The Egyptian suffered a horrific injury in the final of the Champions league last season, and on Tuesday, once he took off his inner vest, an image of him with a tape on his shoulder appeared. Is he still not at his best in relation to the injury? Has that affected his form badly? Or is he just going through a difficult phase? These are the sort of questions Liverpool fans are asking. His strike partners, Roberto Firmino and Sadio Mane, have picked up and continued from where they left off last season, but Salah is yet to reach his best level.